Hotels are realizing the importance of eco-friendly practices. Banqueting and buffet services are doing away with linens. Restaurants are considering socially-conscious dinnerware. And here at BauscherHepp, we're making it easier for operators to become more sustainable thanks to our focus on people and the environment. WE'RE COMMITTED TO ENVIRONMENTALLY-FRIENDLY MANUFACTURING. If you were to take a trip to Germany with us to see where Bauscher and Tafelstern dinnerware is manufactured, you'd see a process that relies on controlling sourcing and production to guarantee not just high quality, but also ethical and eco-friendly standards. 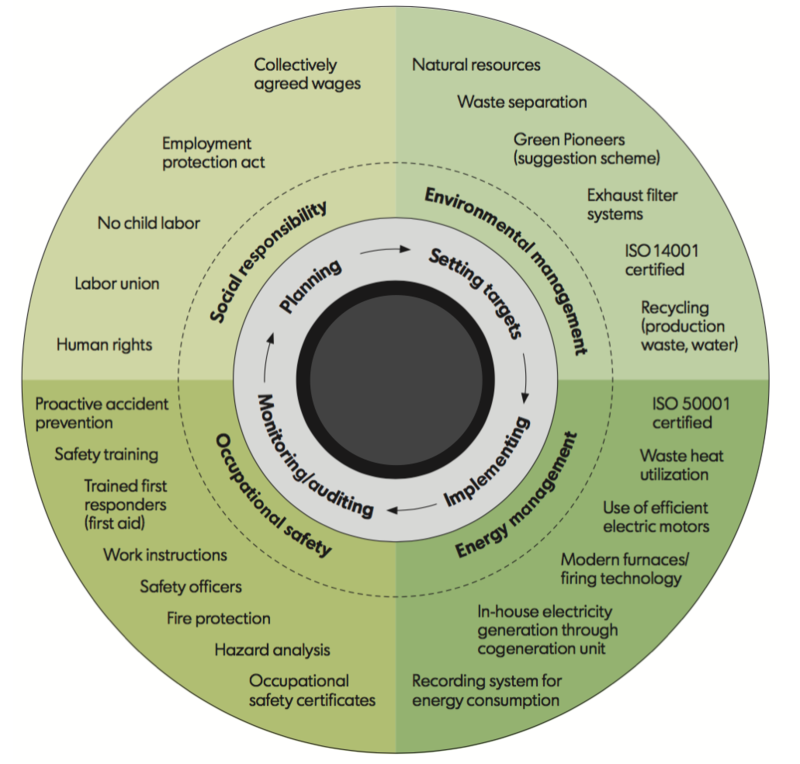 From the latest firing technology to using reclaimed heat from the kilns to warm our manufacturing offices, we pay close attention to all the details when it cmes to implementing sustainable practices. Just as foodservice equipment manufacturers might rely on Energy Star ratings to prove sustainability, we can provide the same type of documentation with our dinnerware. 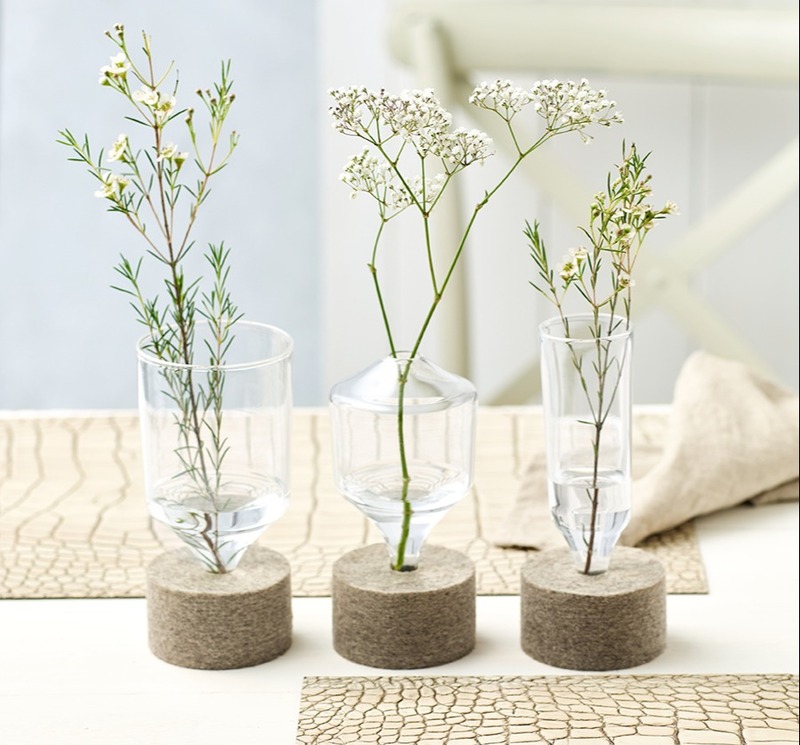 Our parent company, BHS Tabletop, is committed to eco-friendly production processes. Since 2011, BHS has been certified according to ISO 14001, an international standard for environmental management systems. The following year, the BHS energy management system was certified according to ISO 50001. BHS was the first company in the global porcelain industry to have this certification. WE'RE ALSO COMMITTED TO WATER. Sustainable practices aren't just about energy efficiency, they're also about water conservation. BauscherHepp and our collection of brands represent this commitment on a variety of levels. In terms of porcelain production, preventing water waste by using an internal recycling process and the latest kiln technologies has decreased water and energy consumption in our factories by more than 20 percent over the last 15+ years. Our products represent an opportunity to save water, too. When you consider how much water is used to clean linens and then you compare that with the ability to go linenless with Mogogo buffet serving stations, the savings are significant. WE KNOW THE VALUE OF BEING A "GREEN" VENDOR. We've seen all the reports. We understand the demographics behind eco-friendly preferences. We know why the recent plastic straw bans gained popularity so quick. And we're also committed to the same ideals. We also understand the foodservice and hospitality industries. Whether it's buying groups or proof of sustainability, we know what's required of "green" vendors, and we're committed to helping our customers take advantage of the opportunities that the eco-friendly marketplace presents. CHECK OUT OUR ARBOR DAY AND EARTH DAY PROMOTIONS. For the month of April, we're celebrating Earth Day (April 22nd) and Arbor Day (April 26th) by taking 20% off some of our most popular nature-inspired decors: Wood Grain, Sienna, Arbor, and Mer. With these down-to-earth decors, you can highlight sustainability while really making that signature dish pop against a unique background. A variety of color and size options are included in this digital promo flyer. This promotion is valid from April 1st - April 30th in the USA and includes only the items listed here. 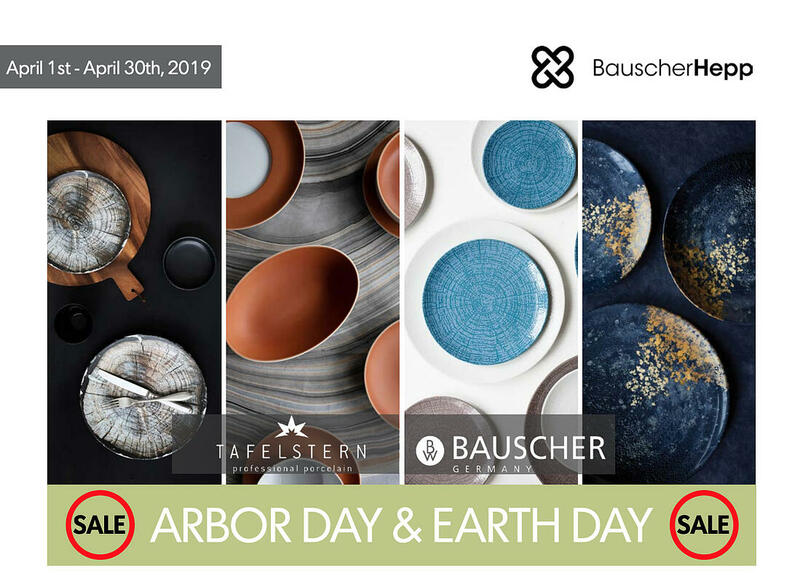 Check out our full range of environmentally-conscious tabletop solutions in the latest version of our BauscherHepp Design Guide.